What makes Europe different from many other parts of the world? One answer is social protection: the principle of assisting the most vulnerable in society and guaranteeing a minimum standard of wellbeing – a social safety net. In the nineteenth century, writers like Victor Hugo and Charles Dickens highlighted the horrors of extreme destitution, helping to convince Europeans that individuals were not necessarily responsible for their misfortunes and that solidarity was a moral imperative benefitting not only victims, but society itself. Trade unions have always defended everyone’s right to an equal chance for a decent life, and we believe the EU should do more to guarantee it. Social protection should guard against the major risks of life such as loss of income due to parenthood, domestic break-up or old age, involuntary unemployment, caring duties, illness and disability. It should break the cycle of poverty that otherwise passes easily from one generation to the next. It drives not only universal social rights but also economic development and quality job creation. Social protection has been a cornerstone of the European Union since its inception. According to Article 151 of the TFEU, the EU and its Member States share as objectives “the promotion of employment, improved living and working conditions, … proper social protection, dialogue between management and labour, the development of human resources with a view to lasting high employment and the combating of exclusion”. Article 153 also pledges that “the Union shall support and complement the activities of the Member States” in areas that include social security and social protection of workers. EU law lays down that individual governments are responsible for designing and running their own social security systems. Benefits are often linked to individual careers (pensions and unemployment benefit for example) and based on earnings or contributions built up over a lifetime. This may have seemed logical in the past when many workers had secure long-term jobs, but the world of work has changed. Precarious and temporary jobs, freelancing, self-employment and small entrepreneurship, part-time and platform work and heavier caring responsibilities when communal services are cut back … all these factors contribute to a loss of earnings and therefore a loss of entitlements. Europeans now have longer lives, but this means more pressure on pension funds and healthcare services. The ETUC demands universal coverage and full access to pensions and long-term care in all Member States, to ensure that older people can live in dignity. Minimum income schemes should be established to protect people from extreme poverty and deprivation, while supporting their active inclusion in society and the labour market. In mid-March, the Commission published its proposal for a Council Recommendation on access to social protection for workers and self-employed. The European Trade Union Confederation (ETUC) welcomed this move but regretted that once again the EU is missing an opportunity to be more ambitious in improving the lives of EU citizens. Social protection should be equally accessible to all people in all forms of employment. The ETUC has highlighted six essential principles: solidarity; a guarantee of equal treatment; inclusiveness; adequate benefits and provisions including safety nets for those who do not reach minimum entitlement thresholds; effectiveness; and sustainability. In a context of wide economic inequalities between Member States, the aim must be to raise standards to the highest level everywhere. How can the internal market work in everyone’s interest if protection varies widely in different countries? Member States need to act together to ensure everyone is covered. The ETUC called for a Directive rather than a Recommendation, which some Member States are likely to ignore. And we wanted to see more concrete guidelines on implementation. The Recommendation takes a step forward in addressing both employees and self-employed, as well as people moving from one status to another, but “worker” must be clearly defined and consistent across the measures proposed in the EPSR, to ensure that all non-standard and atypical workers are covered. 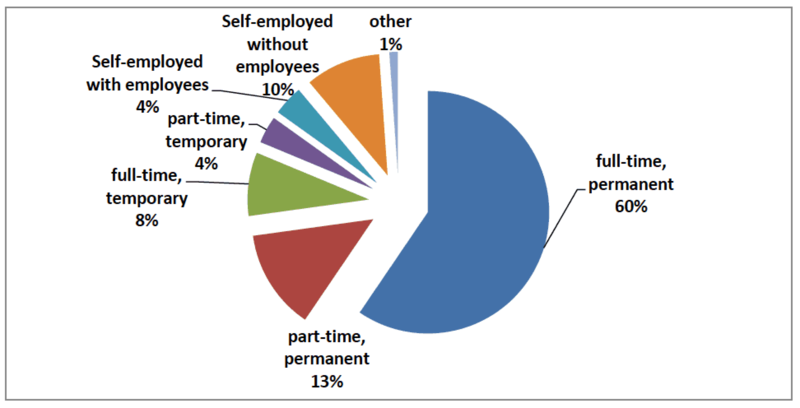 The Commission estimates that non-standard and self-employed workers now make up 39% of the employed population in the EU. They face a much higher risk of poverty than standard workers (16% compared with 6%). At the same time, social protection does less to tackle poverty among these workers. Some 14 million of them risk not being covered by sickness benefits, while as many as 54% of the self-employed are not guaranteed unemployment benefits. We welcome the extension of “formal coverage” to all workers, regardless of their employment relationship. At present, for example, 15 Member States make exceptions for specific categories such as seasonal workers, apprentices or temporary agency workers, limiting access to unemployment benefits. We want an end to the legal thresholds for contributions and entitlements (such as qualifying and waiting periods) that restrict social protection for non-standard and self-employed workers in 19 Member States. People are more likely these days to move not only between jobs, but between job statuses, combining periods of stable full-time employment with part-time or (sometimes bogus) self-employed work, for example via digital platforms. Therefore, rights must be transferable and avoid creating gaps and breaks in benefit entitlements. Everyone must be able to contribute, taking account of their capacity to do so, towards making systems sustainable. We agree that better data collection and monitoring are vital, and this includes indicators within the new European Semester social scoreboard. Crucially, this Recommendation must not allow existing rights to be reduced or prevent any Member State from introducing better conditions. It is not enough for the Commission to suggest that Member States “may” involve social partners in designing reforms. Trade unions have a specific insight into workers’ needs and must be consulted. Indeed, the Commission recognises that “the observed decrease in collective bargaining coverage implies a loss of protection of working conditions for a growing number of workers”, so it should offer guidance on organising and bargaining rights for non-standard and self-employed workers. The ETUC has called consistently for EU support to build or restore social dialogue and collective bargaining in all European countries. We want a clear statement that social protection must be a safety net for all. It should not only protect workers and their families from poverty – which should no longer exist in Europe today ­– but also enable everyone to live with dignity and participate fully in society. This column is sponsored by the European Trade Union Confederation (ETUC). Liina Carr was elected as ETUC Confederal Secretary at the Paris Congress in 2015. Born in Paide, Estonia, Liina was the Confederation of Estonian Trade Unions’ international secretary from 2004 to 2015.